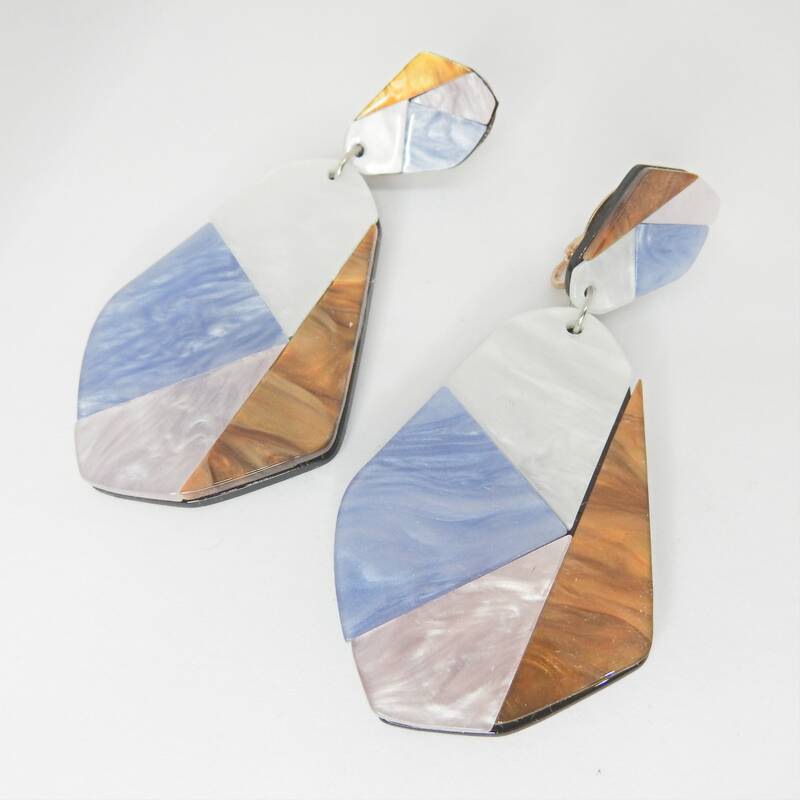 These eye-catching and extra large geometric earrings are unique as you are! 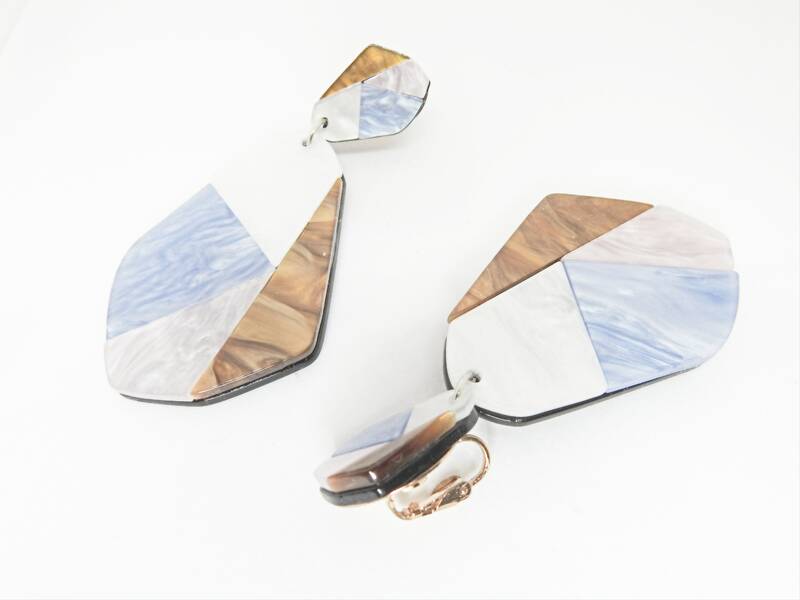 You are looking for beautiful statement clip-on earrings for the summer? 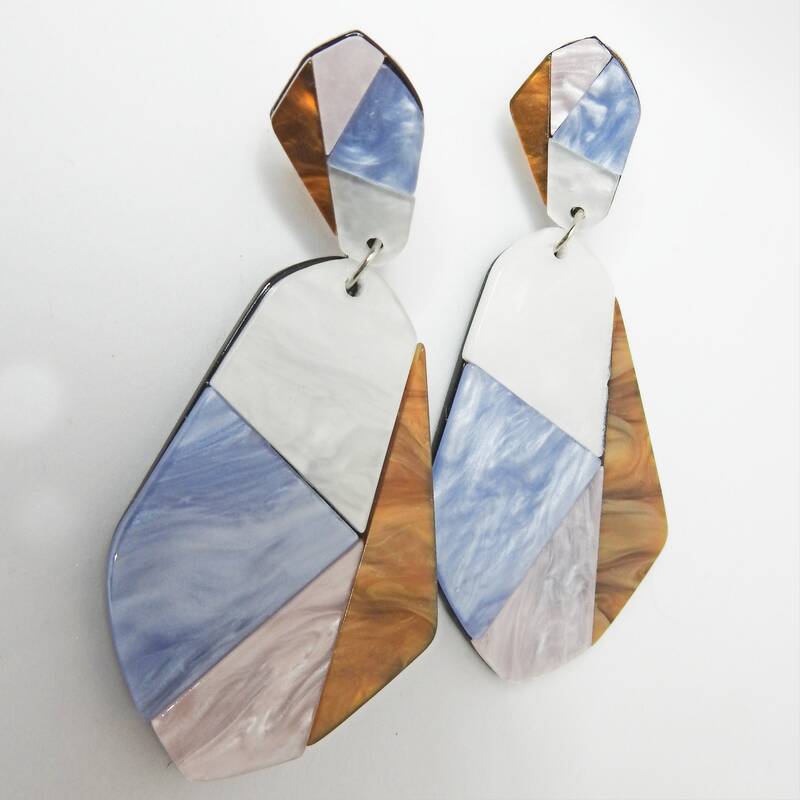 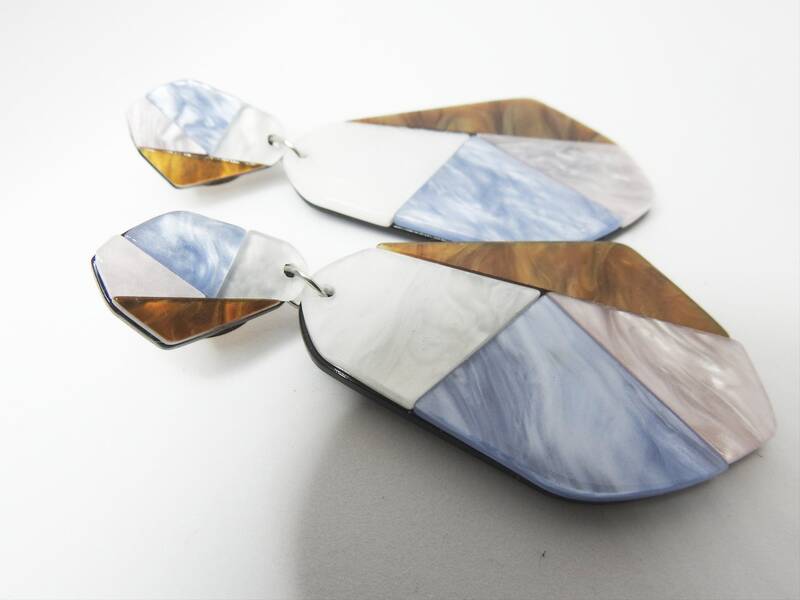 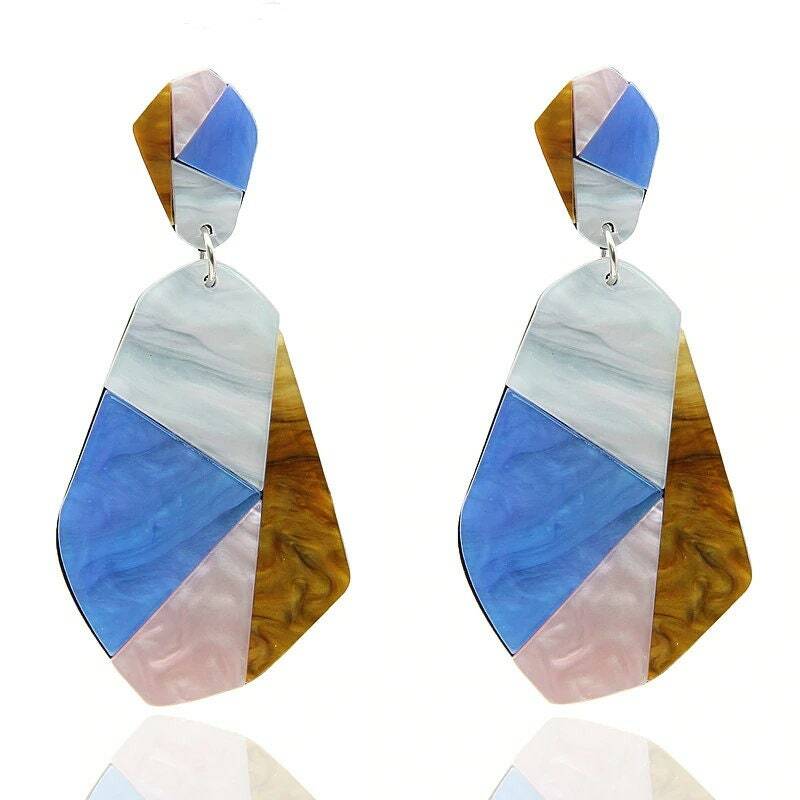 Don't look any further, you will love these irregular acrylic earrings. 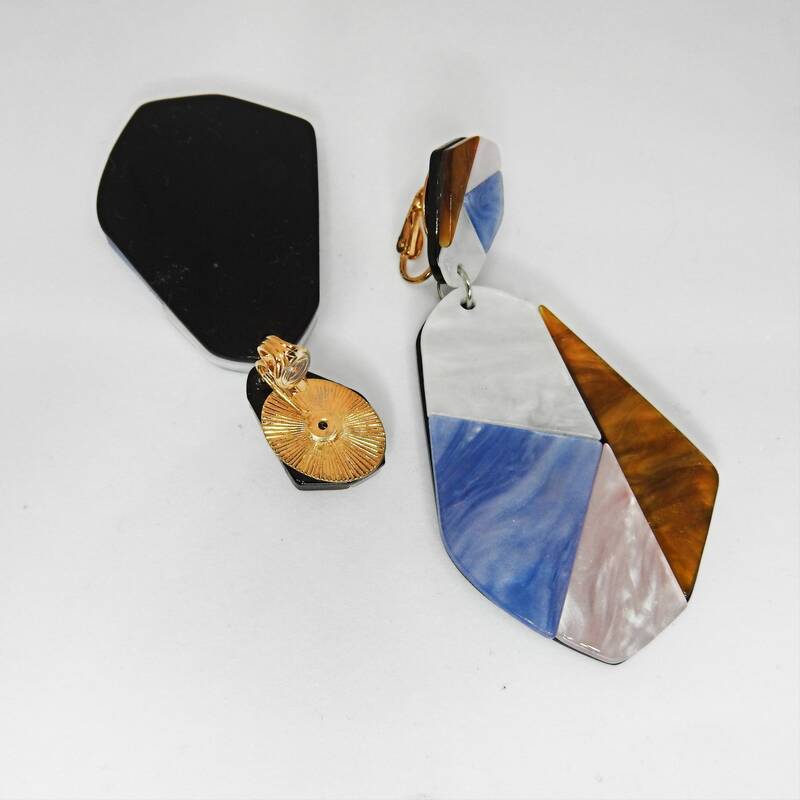 - Material: Acrylic, resin, and metal. 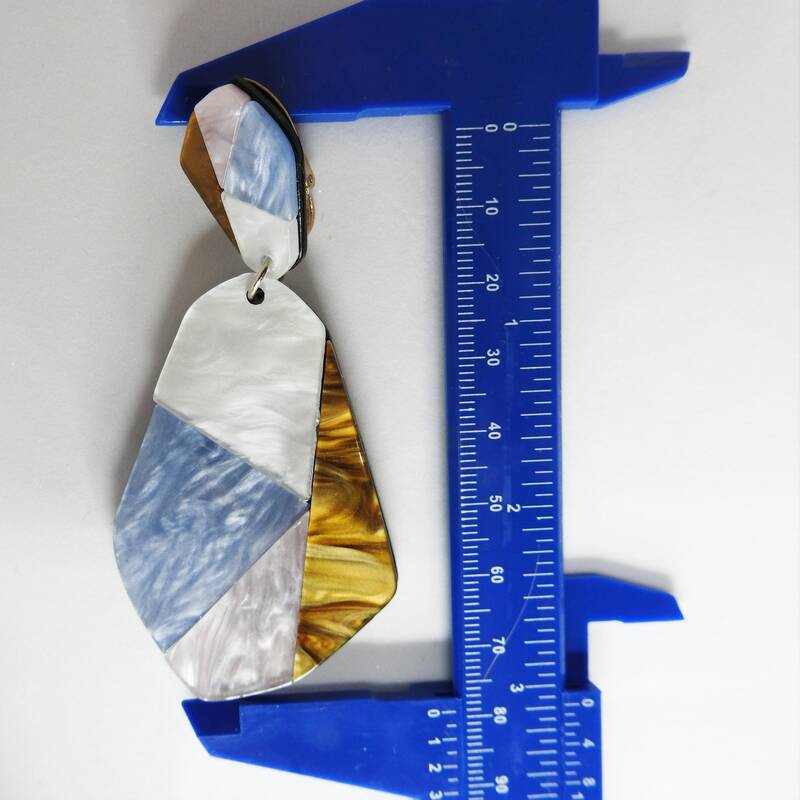 - Measurements: 4x8.5 cm irregular. 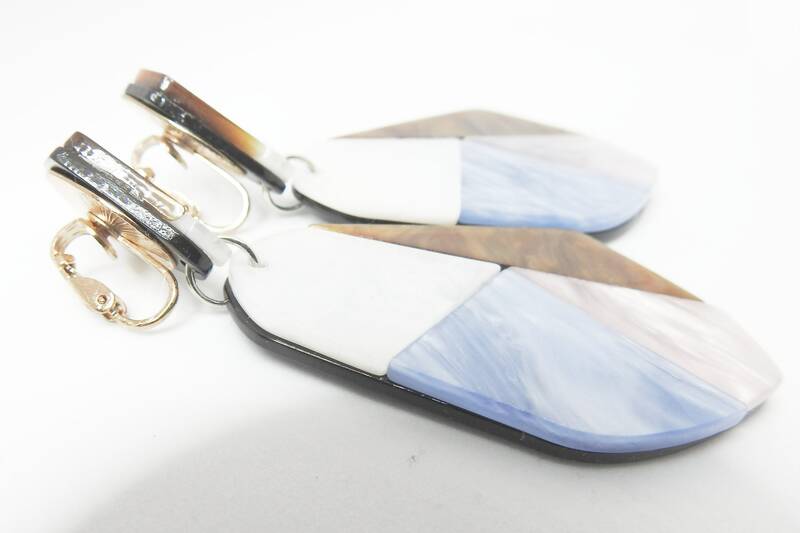 - Colors: Multi, beige, white, blue. 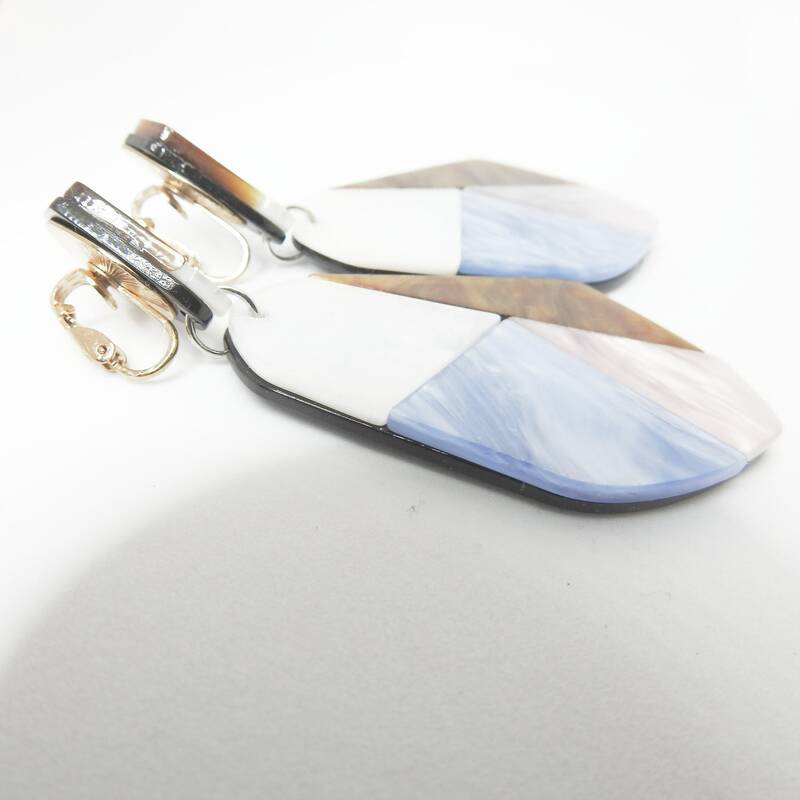 - Made from trendy fashion earrings and vintage clip on. 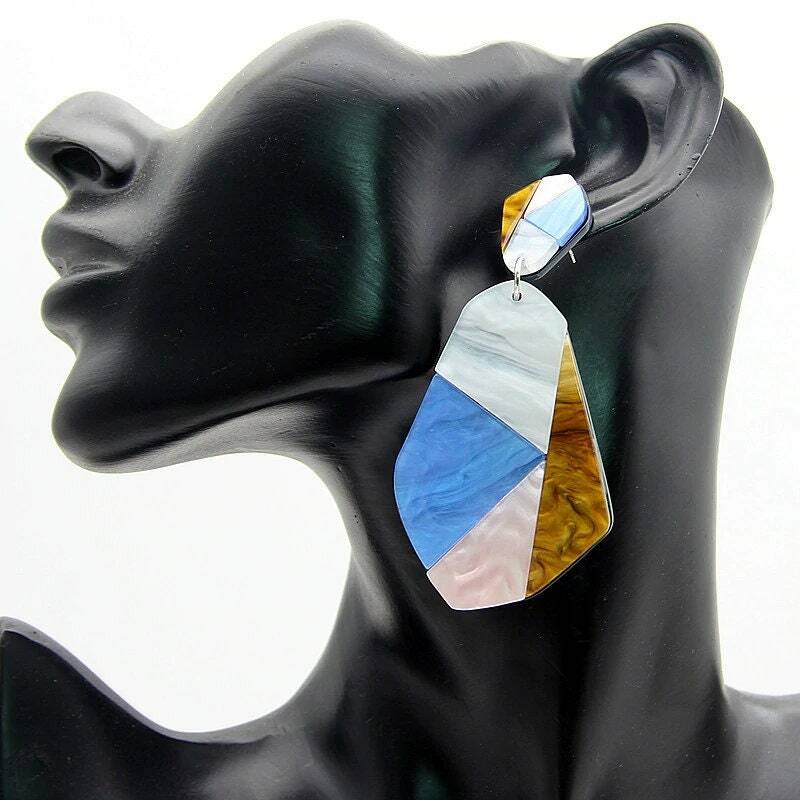 Thank you for exploring these extra large earrings clip on.